You can custom edit the Order Number by double-clicking on it when you have the Order open. A panel will appear, allowing you to rename the Order however you like. 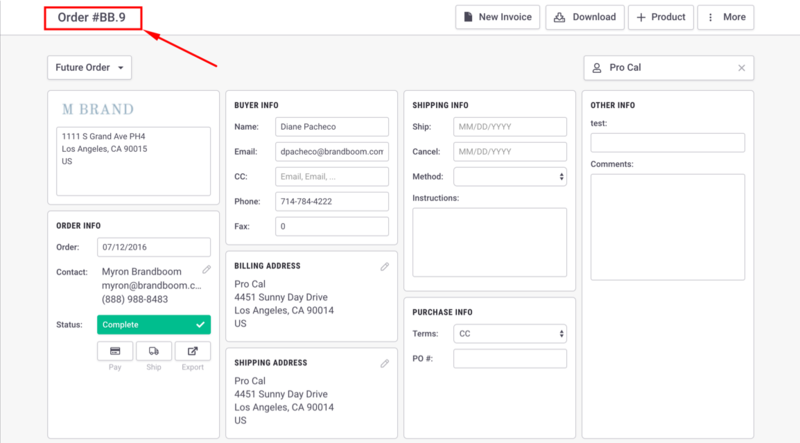 To change the default Order Prefix from "BB" to something else, enter a new value in your Showroom's Order Form Settings. See Order Form Settings for more information. If you need to set the Order number count ahead (e.g. jump from BB.1 to BB.20 and have the next order be BB.21), please contact Support.